"Excuse me, Cowboy Bob, can you spare a moment?" "I am concerned with your conduct a few moments ago. It was not consistent with some biblical principles." "Thanks for bringing that to my attention. My sanctification in that area is rather lacking. Please pray for me." People have their own specialized words and terms in various places, and sometimes they seem to be speaking a somewhat different language. A mechanic can tell you what needed to be repaired on your vehicle, the sergeant gives instructions to the troops, my wife tells me what went on in her workplace, the cowboys on the ranch discuss work that is being done, Christians can write and talk to each other, and so on. Some use "regular" words that have entirely different meanings in various contexts, some words are unique for the people involved. Most of us, even as individuals, have lingo that needs to be explained to other folks. For Christians, the basics of salvation are simple, but it is a lifetime journey to grow in the grace and knowledge of Jesus Christ (2 Peter 3:18). The Holy Spirit is leading, teaching, and convicting us, and the Word is absolutely essential for our growth. With that comes specialized vocabulary. Even definitions are important. For example, if someone says, "I believe that God is the Creator", he may not mean six-day recent creation, but instead could believe in the false teaching of "evolutionary creation". Define creation. Also, if you ask a Mormon, Jehovah's Witness, Roman Catholic, and a Southern Baptist if Christ is the only way to salvation, they would all probably answer in the affirmative. Define Christ, salvation, only way. In both examples, clear definitions can result in greatly different responses. It is interesting to see remarks from "former Christians" (even some who have claimed to be pastors) who display no understanding of the Bible or Christian terminology. "I went to a church for years..." If that person really went, I wonder if he or she paid any attention, or if the pastor believed the Bible in the first place. So, Bible believers do their studying and have fellowship, but have to be careful of how they address spiritual things to unbelievers. For one thing, they are unable to understand the deeper things (1 Cor. 2:14, 2 Cor. 4:4, John 8:44). However, we are commanded to spread the gospel (Matt. 28:18-20) and be ready to talk to someone who asks us (1 Peter 3:15). When that happens, we must avoid as much Christianese as we can so we don't confuse people. 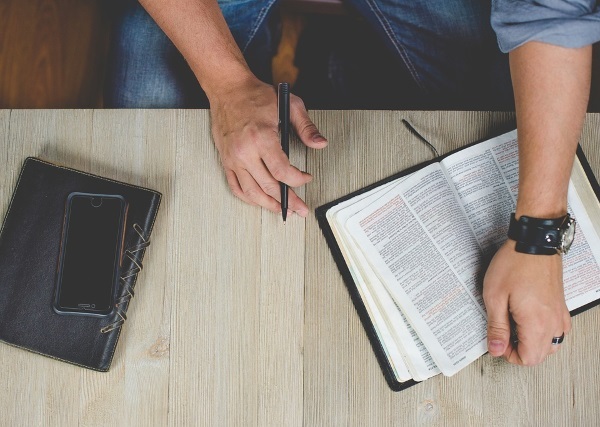 Many professing Christians are nominal, giving intellectual assent to the principles of the faith, but not having an adequate understanding of them. Dr. Jason Lisle has a very helpful article for all of us. Perhaps you have heard, or even been a part of, such a conversation. Christians have a tendency to use certain “religious” terms that are either directly from Scripture, or which are used as shorthand to describe a biblical principle (such as the ‘Trinity’). There is nothing wrong with this. However, it can be a problem in communicating with unbelievers. Christians tend to assume that unbelievers understand such terms, but that is often not the case. Even Christians sometimes misunderstand certain biblical terms. We here examine, define, and explain some of the more important biblical terms that are helpful in understanding the Gospel. We will include relevant verses that shed light on these terms. I hope you'll read the rest of the article, and possibly save the link for later reference. To do either or both, click on "The Problem of Religious Language".